Lift & Fix Your Sagging Upholstery! Save Money and your Furniture by Giving Sagging Cushions and Mattresses like-new Firmness. Experience renewed comfort! 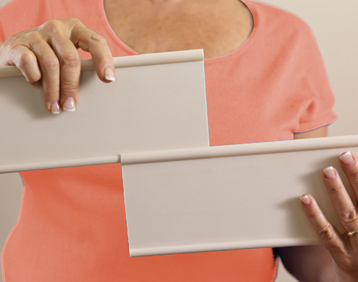 Just place FURNITURE FIX™ panels under the cushion or mattress for instant lift. Specially engineered panels support heavy use and unique interlocking design makes assembly easy and effortless for all ages. It is customizable to fit any width or depth of chair, love seat, or couch as well as beds from twin to king size by connecting multiple panels to suit your needs. A fully assembled set of six panels measures 22” wide by 19” deep fit a regular chair. 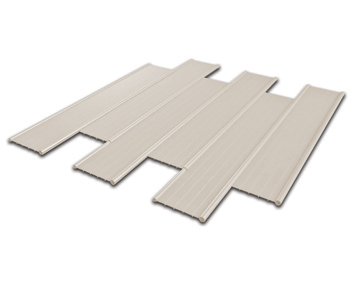 Pull one or every other panel to stagger assembly to fit a deep chair or connect eighteen panels, place them under a couch or a twin bed and experience immediate relief – it’s that simple! 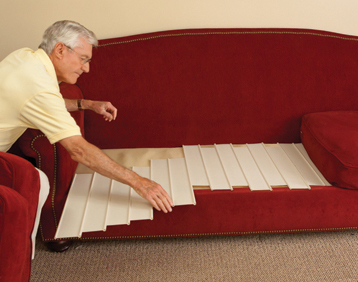 FURNITURE FIX panels extend the life expectancy of your furniture new or used, by providing much needed lift and support to cushions, mattresses and frame of your furniture. "I have a hall chair that really needs to be re-sprung. These support panels appear so far to allow us to delay this costly repair." "This thing really works to my amazement. I really didn’t think it would, but it does! My kids used to dive on the couch so the seating lost its support, but the cushions & upolstery were good. When it arrived I thought it was junk, I laid it on under the cushions and it looks and sits as if my couch was new." "Within minutes of sitting down my husband could tell the difference. He didn't have a real hard time getting back up and it didn't feel like he was sinking into the couch anymore. I tried it myself and was amazed as well they do work really great and now he can sit there for hours without his back killing him all the time. We are thinking about getting some for our bed as well because our bed is old and needs a pick me up."